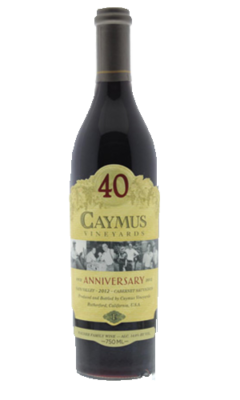 They appear to be immune to some of winedom’s less than intelligent trends and fads that we see from time to time, and the result is a spectacular 2012 Cabernet Sauvignon 40th Anniversary offering. Its dense purple/black color is followed by copious quantities of crème de cassis and blackberry fruit, silky tannins, a voluptuous texture and stunning purity as well as length. This full-bodied effort is a fabulous example of Napa Valley Cabernet Sauvignon as well as a tribute to this amazing family. It is so good now, why wait? 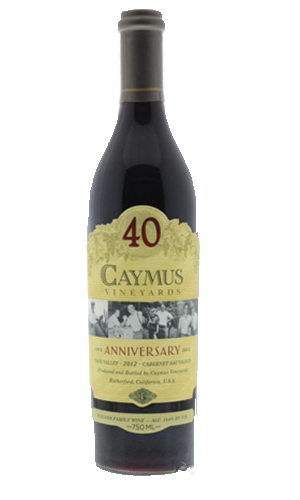 However, I’m sure that like most vintages of Caymus, it will last for 20-25 years. Amazing!